MAK-V/Hunk is a recently identified MARK/Par-1-related mammalian protein kinase. Although the precise function of this protein kinase is yet to be established, available data suggest its involvement in animals’ development and in the physiology of the nervous system. Here we report characterization of a cDNA encoding Xenopus laevis orthologue of MAK-V/Hunk protein kinase, xMAK-V. 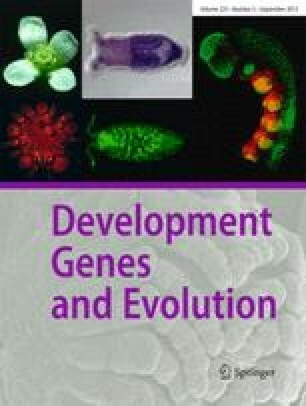 The in silico analysis also revealed MAK-V/Hunk orthologues in the fish Fugu rubripes and primitive chordate Ciona intestinalis but not in invertebrate species such as Drosophila melanogaster and Caenorhabditis elegans, suggesting that MAK-V/Hunk is a chordate-specific protein kinase. The expression of xmak-v in X. laevis embryos was analyzed using whole-mount in situ hybridization. Expression of xmak-v has been detected in all developmental stages studied including maternal expression in unfertilized eggs. The xmak-v mRNA has a predominant occurrence on the animal hemisphere of the egg, and this pattern of expression is sustained throughout cleavage and blastula stages. At the gastrula stage xmak-v expression is restricted to the ectoderm. In the later stage embryos xmak-v is expressed over the entire embryonic surface including the open neural plate at stage 15 and also in neural tube at stage 22. At tadpole stage xmak-v expression is strong in embryonic epidermis, nervous system and sensory organs, and is also obvious in perisomitic mesoderm and brachial arches. We are grateful to Prof. N. Ueno, Department of Developmental Biology, NIBB, Japan for the Xl098g04 cDNA clone and the DNA Sequencing Unit, University of Dundee for an excellent sequencing service. R.M. and A.S.R. were supported by the Wellcome Trust. This work was supported by Grants from the Wellcome Trust and by the Russian Foundation for Basic Research and the Physical and Chemical Biology Program to I.V.K., V.L.B. and S.L.K. A research visit of Dr. Mertsalov to the University of Edinburgh was supported by The Royal Society/NATO Fellowship.